The trail was magnificent, the second best trail that I have ever been on, second only to a trail that I can not mention due to confidentiality agreements. The trail involved mystery and intrigue similar to what you would find in a Steven King or Mark Dolson novel. 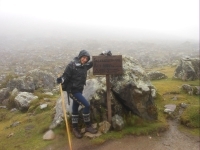 This journey of the Inca Trail was an experience that I will remember for the rest of my life. The hike itself was quite lovely, with beautiful scenery and full of ancient history that inspired my imagination. We spent a great experience in our trek. 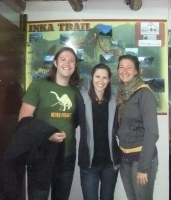 The Inca Trail Reservations was very helpful with us and the service was really good, our guide did a great job we were impressed with his knowledge of the trail and Machupicchu. He was very motivating and funny. 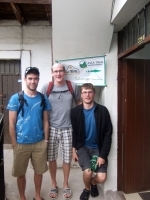 We did the 4 day Salkantay trek and thoroughly enjoyed the experience. The trek was a challenge for me at times but the smiles and encouragement of the staff really helped me through the hard parts. It was worth the experience. We went on the 5-day Salkantay Trek and couldn’t have asked for a better time! 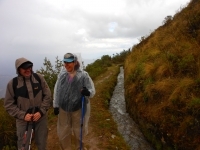 We originally were most excited to see Machu Picchu, but the beauty of the area, the friendliness of the people, and the quality of our guide, cook, and horseman were as good if not better than seeing the city of MacchuPicchu itself. 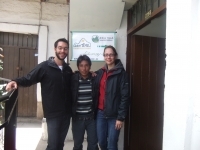 I`m back to Germany after beautiful days in Peru an Ecuador ! Now I will say "Thank you" for your perfect organisation and support. 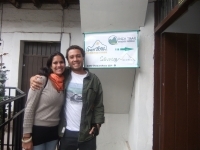 By all transfers and tours (Nazca lines, Salkantay Trek, Cruz del Sur, Inka Express) I have had no problems, it was a worthwhile trip. All peoples was friendly and ready to help.